Official statistics reveal that in November 2012 Eurozone unemployment levels reached 11.8 percent, compared with 10.6 percent in November 2011. This record level of joblessness in the 17 nation monetary union clearly shows that the massive, repetitive efforts at solving the Eurozone’s intractable sovereign debt crisis has worsened economic vitality, contributing directly to a worsening employment picture within the monetary union. The unemployment rate revealed in official figures obfuscates the very uneven economic performance within the Eurozone, especially with respect to employment statistics. In Austria is found the lowest level of unemployment within the Eurozone, at 4.5 percent. In contrast, Spain now has the highest level of unemployment in the Eurozone, a staggering 26.6 percent, surpassing even insolvent Greece, which had an unemployment rate of 26 percent. It appears clear that the Eurozone is not a unified monolith, but a tale of two economic orders. 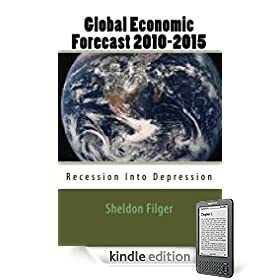 There is the debt ridden, increasingly jobless periphery, and the still relatively prosperous core countries, such as Germany. The question is, how long can the core of the Eurozone remain immune to the depression-level economics within the PIIGS nations? My guess; if the insolvent Eurozone countries remain mired with high unemployment by mid-year, it is hard to see how jobless rates will not start to rise dramatically in the core of the Eurozone.